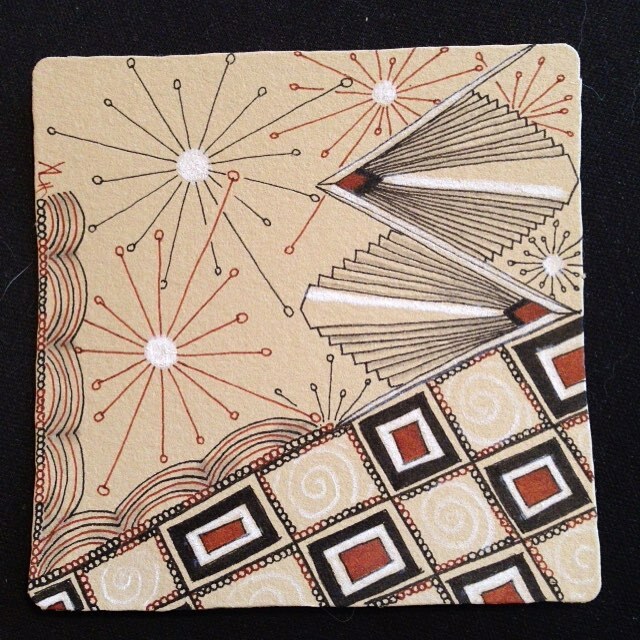 I am having such a good time doing these Renaissance Tiles. I love working with the brown paper. 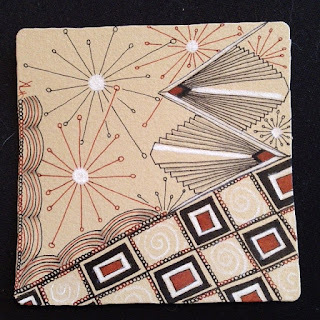 I have a class teaching you how to work on this tile... and giving you a bunch of new pens (and tangles) on the 31st of October - if you've taken a Basics Class you can come to this one!